Warner Bros.' Blade Runner 2049 was already in some serious trouble at the box office, with a disappointing opening weekend of $32.7 million. The movie has only earned $81.3 million domestic so far, although it has fared a bit better internationally with $142 million, but its last hope for box office redemption may have come and gone already, since the movie is looking to bomb in the second biggest box office market, China. It seems that the sequel will underperform in that market as well. A new report from Forbes reveals that the Blade Runner sequel earned just $2.4 million in its opening day in China on Friday, with a projected Chinese opening weekend between $7 million and $9 million. This means that Blade Runner 2049 will likely not reach the $250 million worldwide mrk, although there is still a chance it could hit $225 million. Still, with a massive $150 million budget, that certainly isn't the type of profit margin Warner Bros. was hoping for with this highly-anticipated sequel that came in far under expectations. Thirty years after the events of the first film, a new blade runner, LAPD Officer K (Ryan Gosling), unearths a long-buried secret that has the potential to plunge what's left of society into chaos. K's discovery leads him on a quest to find Rick Deckard (Harrison Ford), a former LAPD blade runner who has been missing for 30 years. The sequel also brought back Edward James Olmoss' character Gaff with a new cast that included Robin Wright, Ana de Armas, Mackenzie Davis, Dave Bautista, David Dastmalchian, Syliva Hoeks and Jared Leto. The studio even released three prequel shorts that bridged the 30-year gap between the original movie and this sequel, but it didn't seem to generate enough interest. The first entry on this timeline is the year 2018, the year before the original Blade Runner movie was set, in 2019. This is the year that Replicants were banned from Earth, after a bloody mutiny by a Nexus 6 team in an Off-world colony. The 2019 entry reveals that Rick Deckard (Harrison Ford) and a prototype Replicant named Rachael (Sean Young) escaped Los Angeles together. In the year 2020, Tyrell Corporation founder Dr. Eldon Tyrell (played by Joe Turkell in the original Blade Runner movie), passed away, which lead the corporation to rush out a new model of Replicants known as the Nexus 8 model, which have "open-ended life spans" instead of the four-year life span of its predecessors, along with ocular implants that make them easier to identify. It is believed that Dave Bautista's character is one of these new model Replicants. In 2022 there was a "blackout," due to an Electromagnetic Pulse (EMP) of unknown origin that detonated somewhere on the West Coast. Entire cities were shut down for weeks, while electronic data was corrupted throughout the entire country, causing financial markets to crash and food supplies running dry. While no cause for the blackout was proven, Replicants are believed to have caused it. The blackout then lead to the government instating a replicant prohibition initiative, with all Nexus 6 models decomissioned and all remaining Nexus 8 models set to be retired, causing some to go on the run. 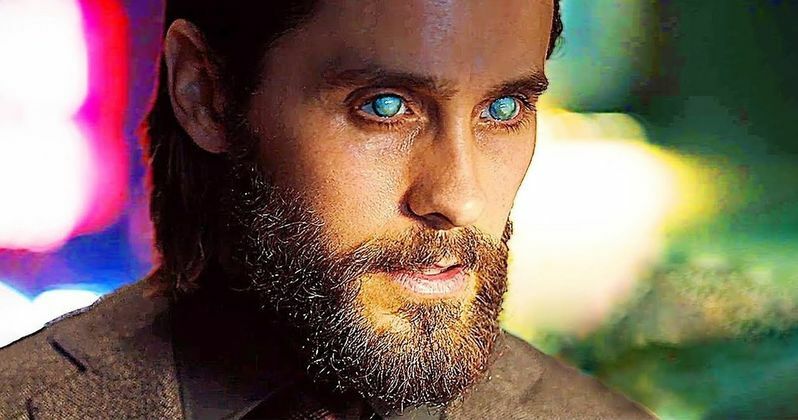 The year 2025 is when scientist Niander Wallace (Jared Leto) comes into prominence, sharing his technological breakthroughs on genetic food enhancements for free, bringing an end to the global crisis as his company, The Wallace Corporation, expands globally into Off-world territories. In 2028, Wallace acquires the Tyrell Corporation, and throughout the 2030s, Wallace improves on Tyrell's original Replicant design, engineering and memory replication methods, making them more controllable. You can visit https://www.forbes.com/sites/scottmendelson/2017/10/28/box-office-geostorm-destroys-blade-runner-2049-in-china/#|Forbes for more on Blade Runner 2049 and its box office failure.